JTC Valve Sales have evolved as the leading suppliers for Goddard gate valves which are manufactured in the USA at their modern facility in the State of North Carolina. Bronze gate valves and stainless steel gate valves are available for most cryogenic services. JTC Valve strives to stock the widest range of valves that are manufactured in the USA. Goddard gate valves are made from the highest quality material and are approved for their intended purpose in US, Canada and around the world.. Four manufacturing facilities are set up in North Carolina with in-house testing facility for design and performance. Goddard manufactures that are ISO9001 certified which is an assurance of safety and reliability no matter for what application you use them. 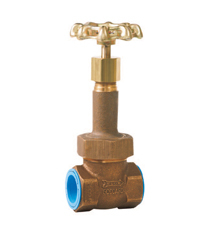 Gate valves that are highly reliable, durable and most competitively priced valves are available at JTC Valve Sales, the leading suppliers for valves.